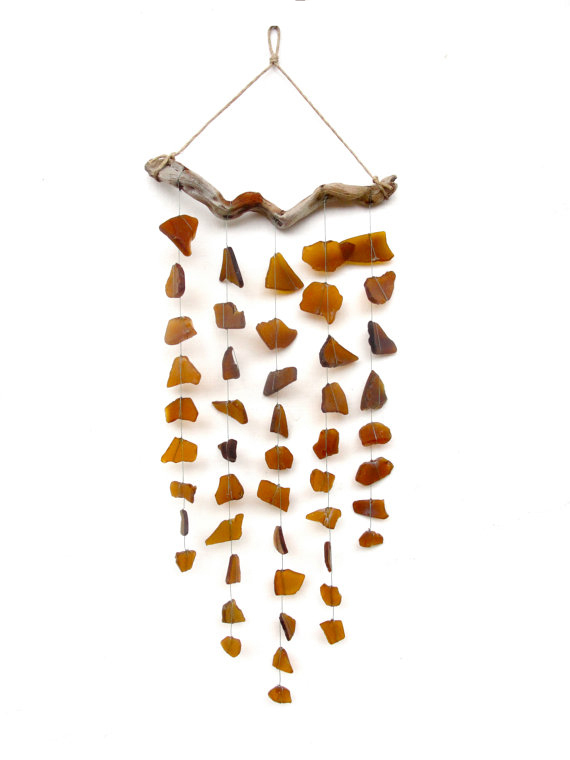 This past weekend, while running the Parsimonia booth at the street fest, I kept hearing these beautiful wind chimes hanging from the building right next to me. It was very calming, and I've since been a bit obsessed with finding one I could bring home. My first stop when looking for something specific is always Etsy, and after a couple pages of my search results I came across a store called The Rubbish Revival. 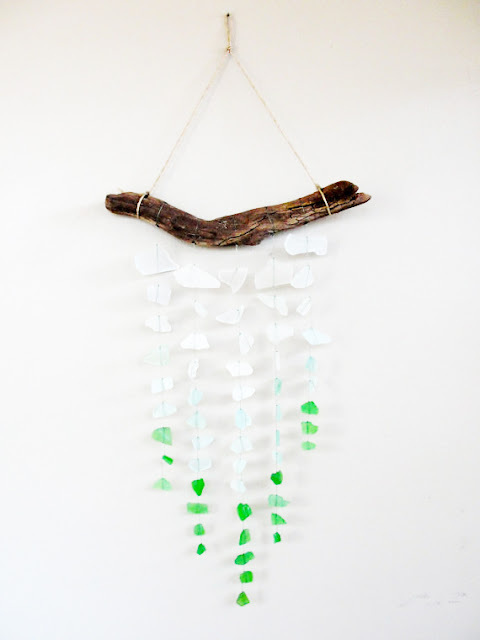 Its owner, Rebecca, resides in Santa Barbara, Calif. — of which I am jealous because it's beautiful and she's close to the Santa Ynez Valley — and she makes these beautiful chimes/mobiles from found sea glass and driftwood. 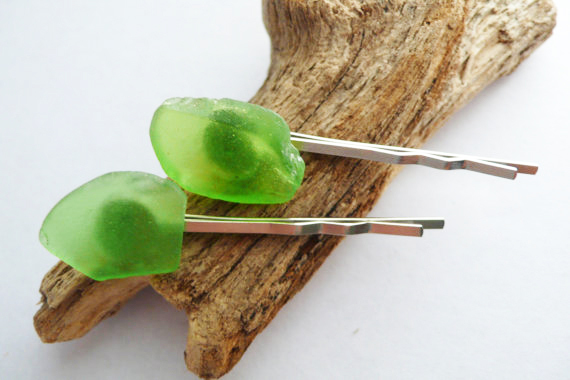 I'm also in love with her sea glass hairpins. How about you? 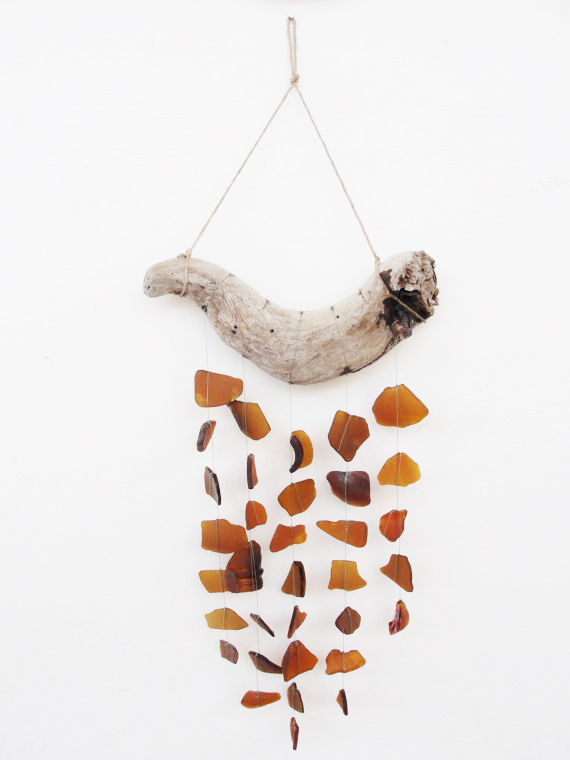 It's so great that each piece is unique and different since it's based on found objects. 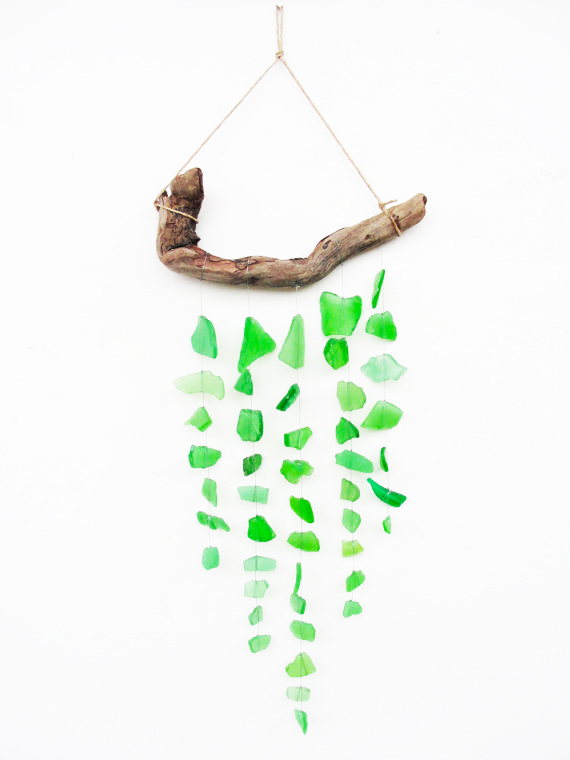 Be sure and visit The Rubbish Revival shop to see more of Rebecca's work!